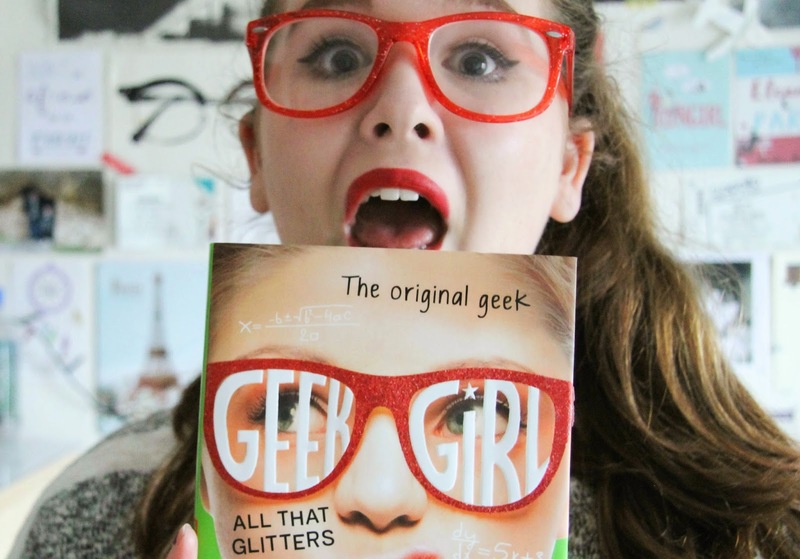 A few weeks ago Harper Collins* sent me out the new addition to the Young Adult series Geek Girl (facebook page here). This was actually a book I'd see in Waterstone's while I was still in high school and I'd eye it up every time. As I got older I just forgot about it and, while I'm now a little old for the series, when I got the chance to receive the first book as well as the new addition "Geek Girl All That Glitters", I jumped at the chance! They have also kindly sent me an extra copy to give away to one of you lovely people! I'm yet to read the fourth book but as for the first book, I think it's a great one for anyone just starting out with reading and to open the gates of the Young Adult genre. It's about a girl named Harriet Manners who's a geek(surprisingly), who doesn't have many friends but after visiting the Clothes Show Live in Birmingham, she has the chance to reinvent herself. I love that this book is set in England and most teens interested in beauty and fashion know what the Clothes Show Live is and,having been there myself, I could really picture the setting. The story takes inspiration from the author, Holly Smales, and her own life as she was spotted at 15 years old by a London Modelling Agency herself who, after two years of modelling, went to Uni to graduate and pursue a writing career and hey presto! She writes a book! 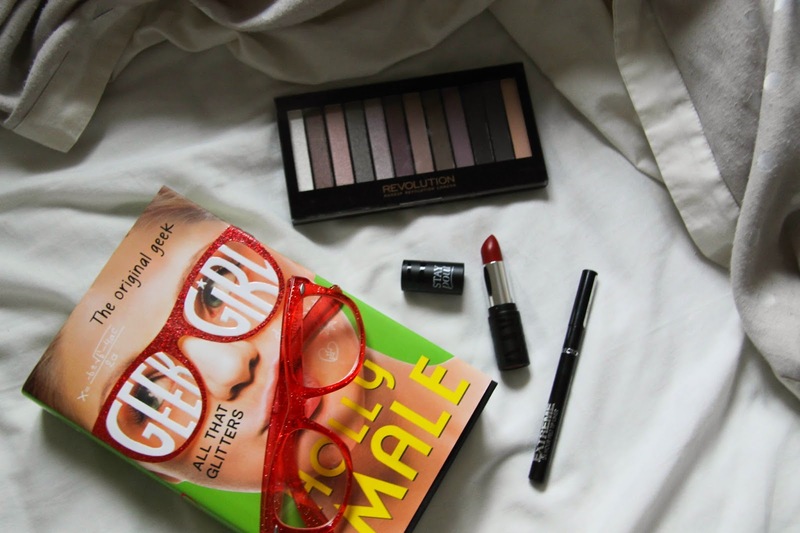 Geek Girl has won so many awards since the release in 2013 and if that doesn't indicate that it's a great book for the younger readers then nothing will! I think this is a great one for if you're around 12-15 as it talks about self discovery and being different throughout high school. As for the fourth book, I don't want to ruin anything (but if there's a fourth book, her life she must be still a little interesting)but just to say it goes from Harriet being in high school to Sixth form College as she tries to fit in and find new friends. Being at sixth form myself, I think I will enjoy reading this and,while I will have missed the middle two books out, I don't think that will matter all too much as I think it's a story line you can just pick up; expect a full review of that book in the coming weeks! Now on to the giveaway. 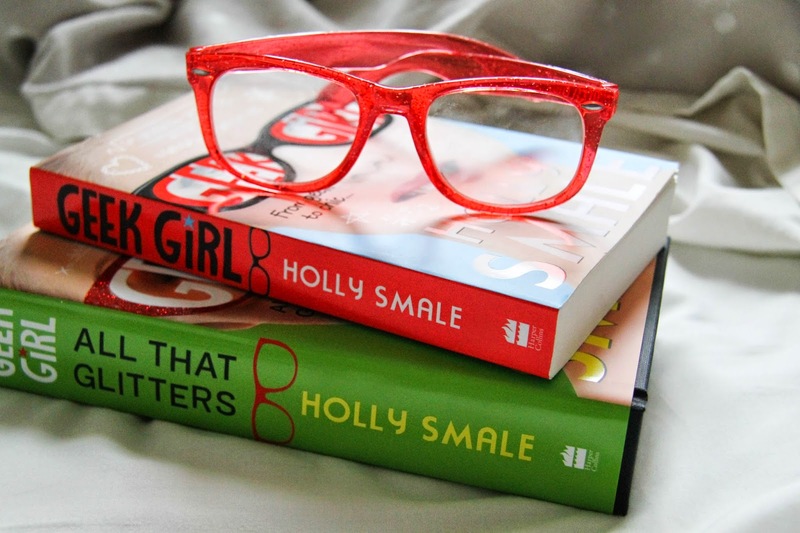 Harper Collins kindly sent me a hardback copy of Geek Girl All That Glitters by Holly Smales a long with these amazing red glasses that you can see me modelling in the above photos. Because I haven't done a giveaway before I thought I would throw in a few extras that I think would be great to wear with glasses. Red lips always looks amazing with glasses so I'll be sending you one of my favorite red lipsticks which is 17 Stay Pout In Infared. Winged eye liner, while I can't really pull it off with my hooded eyelids, looks great with glasses so I'll be also sending the lovely winner the Collection Extreme 24 hour Felt Tip Liner. That was going to be it but the I spotted the Make Up Revolution Redemption Palette in Romantic Smoked which is a gorgeous palette! To enter there's a Raffle Copter widget below to fill in and I will contact the winner via twitter or email left on the entry information. Also to bear in mind it's only open for those in the UK & Ireland due to postage but I may do giveaways in the future that are open internationally! A Giveaway is something a little different to normal but I hope you enjoy it all the same! Also ignore the small mistake of asking your email twice just fill it in anyway and you get an entry haha also the "Invent Your Own Option" I change a million times and just didn't want to play ball.